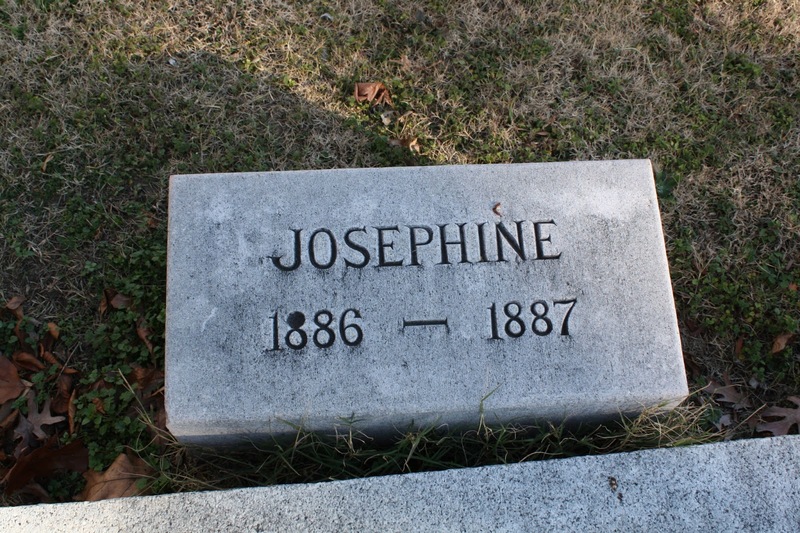 Josephine was born on Feb. 13, 1886, the first born child of Robert Addison and Annie Redd France Schoolfield in Danville, Virginia. (Regular readers of this blog will recognize the Schoolfield name from other posts.) Robert was one of the three Schoolfield brothers who (along with several other local men) was instrumental in creating the now-dead but once booming textile industry in the city. This is just a brief overview of cholera infantum’s symptoms. My real focus here is on those who died from it who were also buried in Green Hill between 1883-April 1895. As I’ve said before, the Mortuary Reports to which I have access are not complete. Entries could have been mistranscribed, names omitted, causes of death unlisted or improperly declared, a tallying mistake on my part, etc. *This name may be misspelled; the handwriting was difficult to read. **There is a birth record for an Ethel Tyack to J.L. & S. Tyack on Oct. 6, 1887 in Danville-this may be the same child. Previous Previous post: "Drowning…at the Hands of an Insane Mother"